This unprecedented study performed by a research consortium led by Inra brought together a number of partners, including Inserm. The research was performed as part of the Risk’OGM program funded by the French Ministry of Ecological and Inclusive Transition. For six months, rats were fed a diet containing either GM maize (MON 810 or NK603) or non-GM maize, in varying concentrations. 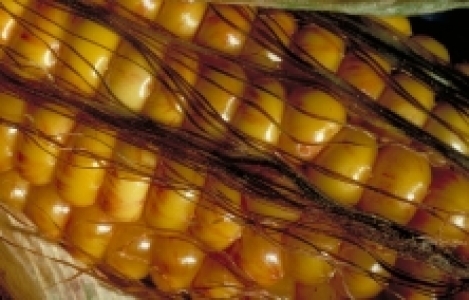 The researchers, using high-throughput biology techniques, did not identify any significant biological markers related to the transgenic maize diet. Neither did anatomic pathology examination reveal any alteration of the liver, kidneys or reproductive system of the rats fed diets containing these GMOs. This research, published on December 10, 2018 in Toxicological Sciences, does not reveal any harmful effects related to the consumption of these two types of GM maize in the rat even after lengthy periods of exposure. Coumoul X, Servien R, Juricek L, Kaddouch-Amar Y, Lippi Y, Berthelot L, Naylies C, Morvan ML, Antignac JP, Christèle DL, Jegou B, Tremblay-Franco M, Canlet C, Debrauwer L, Le Gall C, Laurent J, Gouraud PA, Cravedi JP, Jeunesse E, Savy N, Dandere-Abdoulkarim K, Arnich N, Fourès F, Cotton J, Broudin S, Corman B, Moing A, Laporte B, Richard-Forget F, Barouki R, Rogowsky P, Salles B. The GMO90+ project: absence of evidence for biologically meaningful effects of genetically modified maize based-diets on Wistar rats after 6-months feeding comparative trial. Toxicol Sci. 2018, Dec 10. doi: 10.1093/toxsci/kfy298. [Epub ahead of print] PubMed PMID: 30535037.